One of the most common downfalls for any business is insufficient financing. However, let’s be candid, sending out invoices, keeping track of expenses, doing the weekly payroll and filing taxes can be extremely challenging when your mind is on business advancement. Although these tasks are vital, they can become quite tedious and time-consuming then many would prefer. 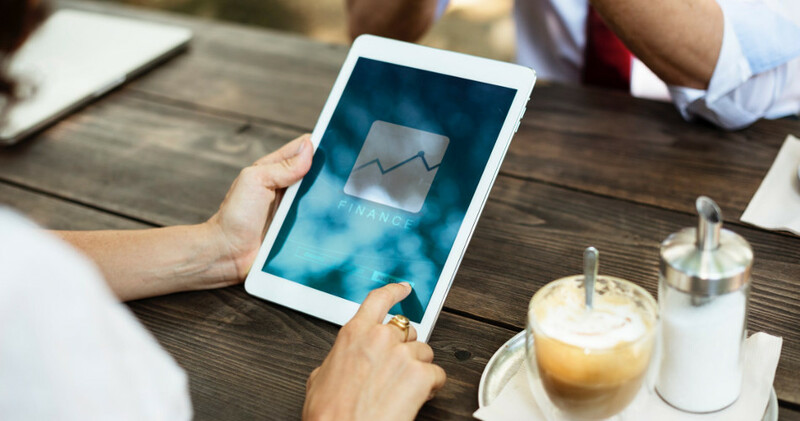 That is why we have decided to give you a list of the some of the best financial apps out there; to help you streamline all of your financial tasks so that you can ensure that your business flourishes. Wave has been used by more than 2 million small business owners, consultants and freelancers to control all of their accounting, payroll and invoicing needs – for free. Wave is a great app which runs on your phone, as well as your computer. With the Wave iOS app, you can quickly send out an unlimited number of invoices while on the go. As for Android users, the Receipts by Wave app permit you to scan receipts and upload them to the cloud to simplify your business’s record keeping. However, if you do run into any severe problems, Wave can connect you to a local accountant through their ‘Find an Account’ feature. For more info about Wave, visit their site here. Forbes created FreshBooks to be “incredibly user-friendly,”, this app is free and one of the best features is that you can work offline and all your information will be synced to the cloud once you’re back online. Keep a tab on your cash flow and expenses on and offline. FreshBooks can boast as being an easy-to-learn, and if that isn’t enough, FreshBooks comes with award-winning customer support. For more info about Freshbooks, visit their site here. This app is one of the best solutions available, especially if find payroll and taxes a bit too tedious. Zenpayroll will automate everything from new employee reports, calculate state and federal payroll taxes, and process payroll. Zenpayroll even allows you to track employee sick and vacation time, set up worker’s compensation, and create online payroll forms. For more info about Zenpayroll, visit their site here. Expensify has developed software that will simplify how expenses are reported and accepted. and automate duplicate expenses with ease. There is a mobile app for available for iOS, Android, BlackBerry, and Windows Phone devices. For more info about Expensify, visit their site here. create tax, spending, and expense reports. The app can be used on Android and iOS devices for free; however, you’ll have to purchase the Neat Cloud Service. Plans range from $5.99 to $24.99 per month. For more info about Neatisit their site here. This platform is an all-rounder as it can be used for sales and marketing, email collaboration with team members, recruiting, invoicing and expense reporting. Zoho also impeccably integrates with Google Apps and is an affordable option with plans starting at $12 per user per month. It also comprises of a complete suite of Office-like products that sync with Microsoft Office! If you need to control your business’s finances while on the go, Zoho is available for iOS and Android users, not forgetting the fact that there is also an app for the brand new Apple Watch! For more info about Zoho Books, visit their site here. This app is designed for non-accountants but also used by professionals. It is easy to learn yet incredibly powerful. You have the ability to scale according to the size and needs of your business—from the software and the pricing model. Plus, they’ve got the QuickBooks mobile app with limited—but useful—functionality. For more info about QuickBooks, visit their site here. Due.com definitely fits the bill as being not only multifunctional but also intuitive. With its organised and efficient design, it lets you create and track high-quality invoices. While it’s not entirely free, you can make use of the trial for five clients per month. While, for only a few dollars a month, you can arrange recurring payments, sync with PayPal, and send out as many invoices as you need. For more info about Due.com, visit their site here. If you’re more interested in skipping those tedious tasks of managing a business’s payroll and benefits, then Gusto is for you. Gusto automatically calculates and files state and federal payroll taxes for you, and it’ll let you easily pay employees, track sick and vacation time, and much more— this app is paperlessly and on the go. For more info about Gusto, visit their site here. deal with payroll on the move. With Xero, while proud of its simplicity, does not come free. However, if “beautiful accounting software” is your kryptonite, then this finance app could be for you. For more info about Xero, visit their site here. Depending on your payment plan, Sage One can help you with everything from creating invoices, to reviewing your business’s finances, building reports, and tracking time and expenses. It’s one of the most affordable best finance apps while giving you functionality without being too pricey. Additionally, Sage One has particularly strong project management features, so you can manage your freelance or contracted workers from this app as well. For more info about Sage One, visit their site here. Now that you have means to organise your finance, you can have a level of efficiency all small businesses need and dream of. The juggling act of balancing your finances and your business growth has become that much easier.